Technological advances have created mobile communication devices and Personal Digital Assistants (PDAs), such as the iPhone and Blackberry, capable of making voice calls as well as browsing the Internet and accessing email. Whilst telephones devices can hold only a relatively small amount of data when compared to desktop computers, the results of mobile telephone forensics examinations can be extremely revealing. Memory modules and data storage areas where digital evidence can be retrieved by a mobile telephone forensics expert – evidence that prove an important part of a criminal or civil prosecution. Text messages that have long been deleted may be recovered, providing a revealing look at intentions and actions. 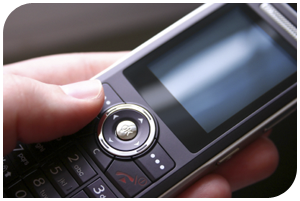 Billing records for both mobiles and landlines provide detail on acquaintances and relationships. Cell Site Analysis can allow the physical movement of a handset to be plotted – illustrating where a suspect may have moved to and from over a period of time. Mobile telephone forensics evaluations of mobile devices can reveal a wealth of material of value to investigators and legal specialists. All mobile devices are built differently and require special techniques to ensure mobile telephone forensics assessments conducted are done so in a forensically sound manner and that the information extracted will endure the scrutiny of a court of law. Our analysts contribute to a number of leading working groups as well as undertaking constant mobile telephone forensics research, to ensure our approaches to handling mobile evidence remain in touch with Best Practice. Telecommunication analysts at Afentis Forensics have access to the very latest in electronic evidence tools and techniques – including the world’s most advanced Cell Site Analysis investigation system; engineered exclusively in-house and utilised by investigators and police forces around the world. The findings of all mobile telephone forensics examinations are conducted in compliance with Association of Chief Police Officers (ACPO) guidelines and the results of mobile telephone forensics evaluations are documented in comprehensive Expert Reports and supported by certified and experienced Expert Witnesses that can deliver clear testimony in either civil or criminal court proceedings. Leading scientific support investigation practice with expert witnesses providing DNA analysis, fingerprint evaluations, firearm evidence, cell site analysis, CCTV enhancement, computer and mobile telephone examinations, questioned document forensics - clear expert reports from certified UK specialists - support from crime scene to court room.